Net Entertainment is popular for its spectacular games for Online Casinos. The brand-new development “Dracula” is now live at the Mr Green Casino and it is again a Bull’s eye! The 5-reel, 4-row, 40-line online slot is packed with, Free spins, Stacked symbols, Stacked and regular Wild symbols and with a brand-new Bat feature! A great game in great casino! Try the slot below for free – no registration! Already registered players know the wide range of great promotions at Mr Green. There is actually always something going on: in theese weeks run for example free slots tournaments with a price pool of 10.000 €. The winner of each of the five tournaments receives 1.000 €. Or only play the great slots and you could get one or more of the populare Cash Drop prices of up to 250 €. This way or the other, one thing is sure: sooner or later is everybody a winner here! 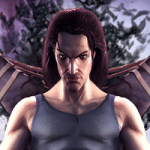 We want to invite you to spin some rounds at the brand-new Dracula online slot. Learn the nice features for free and without risk. In case you join the Mr Green Casino waits already the next exercise for you: play 10 Free Spins without deposit and get for your first deposit another 100 Free Spins and up to 350 € Bonus. Great offer, you shouldn’t miss it! This post is especially for Bonus hunter and players who want to try a Real Time Casino for free. 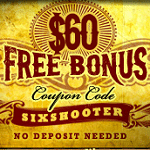 To get the following offer is only the registration at the Highnoon Casino reqired. After that, the only thing players have to do is clicking on “Cashier” and use the Bonus Code SIXSHOOTER. You immediately get £/$/€60 without Deposit. Play with your free money a really nice collection of video slots! Be aware the Bonuses in the Highnoon Casino are very lucrative and there is no reason to decline the offers. The Casino is absolutely reliable, supported its players and offers an impressive range of games. Good luck and have fun! Three new Novoliner out now! We know out there are many gaming fans of Novomatic games. That’s why we want to inform you about the new slot releases in this month. The Energy Casino offers a wide range of Novoliner and added the new ones as well. 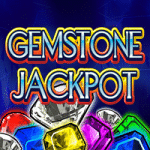 Play and enjoy from now on “Spinderella”, “Dazzling Diamonds” and “Gemstone Jackpot”. In addition you should join one of the weekly promotions where you receive nice bonuses for playing the new slots. We also want to point on our exclusive bonus which here available. New players will start with 5 € without deposit, only the registration at the Energy Casino is necessary. That takes only seconds and the bonus will be booked immediately. Start at Energy with our 5 € No Deposit Bonus! Even more in free bonuses are possible. The first deposit for example, will be doubled up to 200 € and players can choose from a wide range of slots by Novomatic, Microgaming and Net Entertainment. This is a remarkable range of slots! 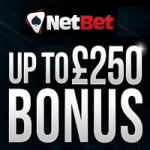 Take the chance, get the bonuses and good luck!